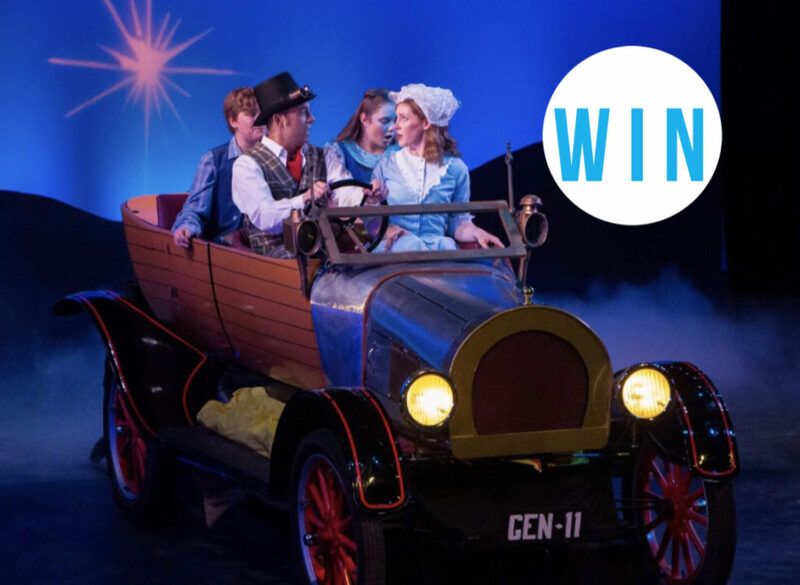 WIN a VIP family pass to see Chitty Chitty Bang Bang and a $20 voucher for Caffe Acqua! Everyone’s favourite car comes to life in the musical adaptation of this beloved family favourite film! Prize Includes :: 2 x adult tickets, 2 x child tickets, a photo in Chitty, a signed cast photo, and a $20 voucher for Caffe Acqua. To enter on our Instagram, TAG a friend who deserves this and FOLLOW @nltc_sa to be in the running to win. Photo (above) will be posted on Adelady Facebook and Instagram, Wednesday April 25, 2018 and the winner announced on Adelady Facebook and Adelady Instagram, Friday April 27, 2018. Winner must live in South Australia and be over 18 years old. Tickets can be used for any of the remaining performances. Next PostWIN a double pass for the Champagne Lawns Package at Oaks Day PLUS makeup with your bestie at Media Makeup! I would like to take my nephews to see this show because I would love to introduce them to local theatre. Joel is 11 and Rohan is 8. Rohan already makes his own mini movies so I’m sure he would enjoy this experience. My mum, Joyce, deserves this as she’s the most selfless person I know. She does so much for everyone and asks for nothing in return. She’s our rock!